554. Sgt. 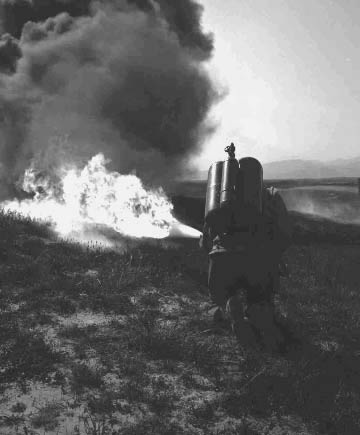 Fredericks demonstrates flamethrower use.